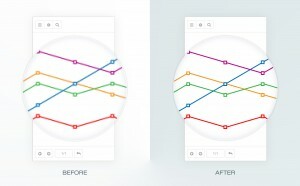 We're really excited about the ActiveReports 11 Service Pack 1 release. I think you'll like what we've done to improve the HTML5 viewer. 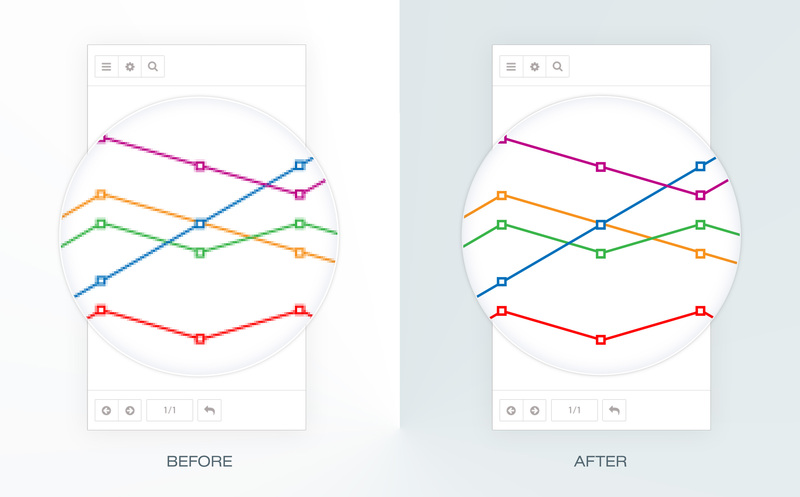 In addition to adding user-requested tweaks and fixes, we've added several brand new features: SVG rendering, frozen row and column headers, and chart tooltips. Here are details on these features. 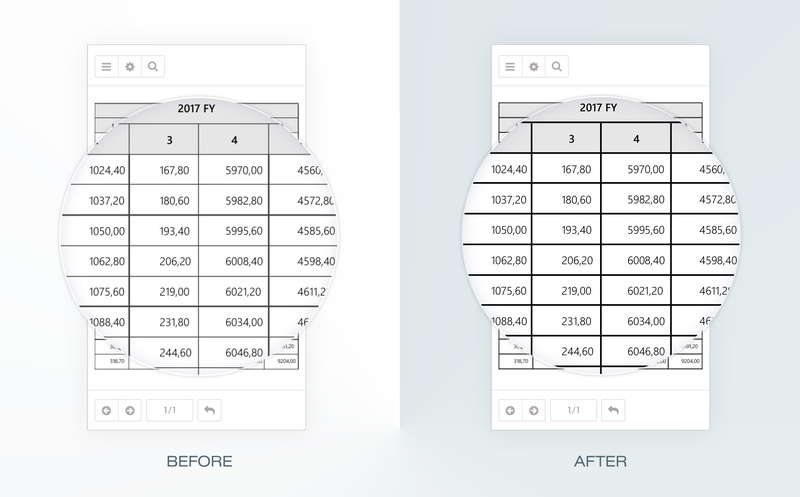 We now use Scalable Vector Graphics technology to render our charts in the HTML5 viewer. This keeps curves smooth and angles sharp, even when you zoom in. Click to see the dramatic improvement at high zoom levels. We have also fixed an issue with cell borders in HTML5 that allows us to render our Table and Tablix controls with precise and crisp lines and corners. Click to zoom in and see the difference. We added two new properties to Table and Tablix data regions that are supported in the HTML5 viewer: FrozenRows and FrozenColumns. These properties take a numeric value, but there are a couple of restrictions on the value you can enter. 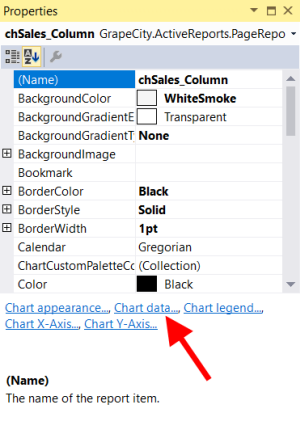 You can't enter a number higher than the number of header rows or columns in the data region. You can't enter a number that would split up any merged cells within the header row or column. To illustrate how it works, first I'll show you the problem we're addressing with these properties. Here is what a Tablix looks like with the HTML5 viewer in Galley mode without setting the FrozenRows and FrozenColumns properties. Now we'll go back to the designer and set the FrozenRows property to 2, and the FrozenColumns property to 3. 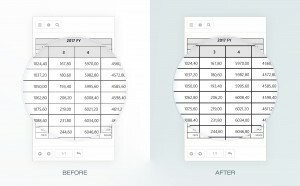 You can see that these are the only numbers that we can use for this Tablix based on the constraints I mentioned above. There are two header rows, but some of them are merged, so you can't use less than 2 for the value. Similarly, there are three header columns, but some of them merge all three columns, so you can't use less than 3. Here is how it looks at run time in the HTML5 viewer. 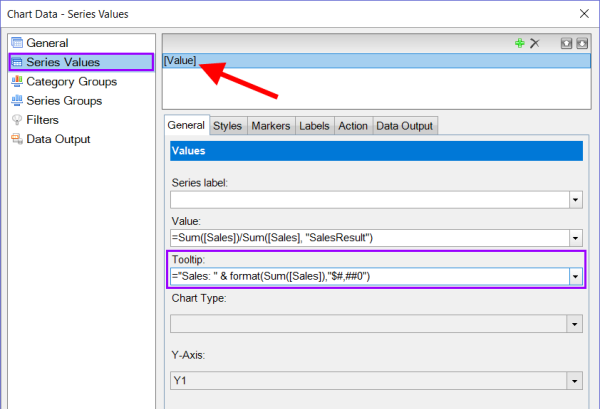 Notice that I concatenated a static string ("Sales: ") with an expression that gets the sales value. The part of the expression in pink is what actually grabs the values, and the blue is what I added to format the number as currency. Now for the cool part. Here it is in the HTML5 viewer at run time. I'll be blogging about the other new features in ActiveReports 11 Service Pack 1. In the meantime, you can check them out yourself by downloading the latest build!